Q. What is compressed air and how is it used? 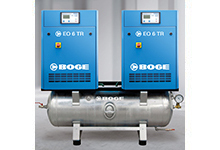 A. Compressed air is a means to produce and store energy that can be used anywhere. It is transported as mechanical energy, including when discharged by a compressor and then distributed to plant equipment through a piping network. Compressed air can also be converted back into mechanical energy for use in equipment. 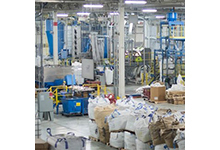 In many facilities, compressed air is an afterthought unless workers complain about inadequate air pressure. One of the easiest solutions to increase the pressure is from the supply system, however, a full facility audit by CRU AIR + GAS will likely uncover other valuable opportunities to improve pressure while reducing operating costs. Q. How do I take the first step towards optimizing my compressed air system? A. Quantify the potential money your plant currently spends on compressed air to determine if efficiency upgrades should be a priority. A full facility audit by CRU AIR + GAS’s CEM/AIRMASTER+ certified auditor can help you properly analyze both supply and demand usage throughout your facility. Q. 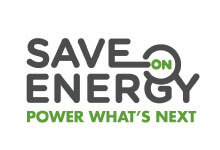 Why should we do a Save On Energy audit? A. You should seriously consider a Save On Energy audit by our CRU AIR + GAS auditors if you suspect your system is inefficient, if you are planning to retrofit your compressors, and/or if you have yearly energy saving targets to reach. Our certified auditor can help uncover energy savings and maximize your potential Save On Energy rebates. Learn how PET Power Containers qualified for a retrofit rebate, while cutting energy costs per year.